For Ages 5-12. 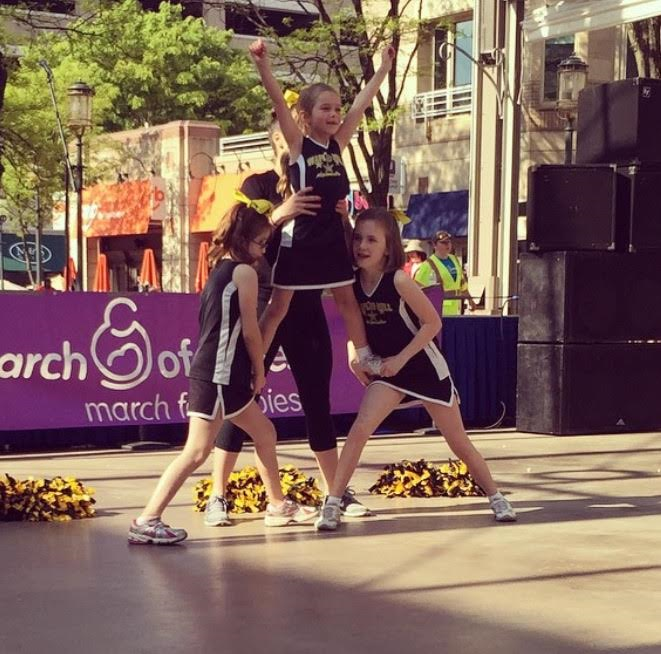 Our cheer program introduces children to beginning tumbling skills, cheers, motion technique, chants, drills, stretches, jumps, and a high energy cheer dance. This fun-filled cheerleading class builds flexibility, strength, and physical conditioning while promoting team spirit and self-esteem. Along with advancing in cheer technique, our Cheerleaders for Charity will perform at an optional charity event at least once per season.